There is nothing that says summer better than an old fashioned fish fry, especially when you catch the fish that same morning! 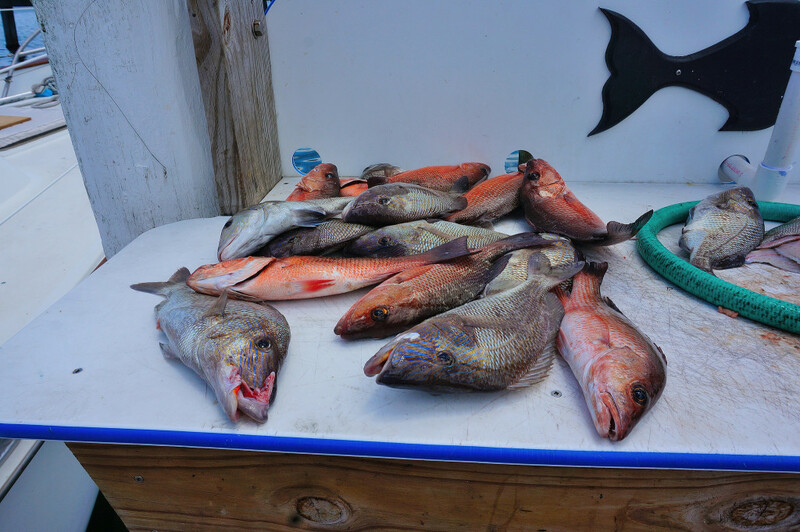 On a recent trip to Anna Maria, FL, we hit the high seas and came back with 20+ gray and red snapper; there was a also a shark tale, but we couldn’t get it aboard the boat…that and it was only 3 ft long. 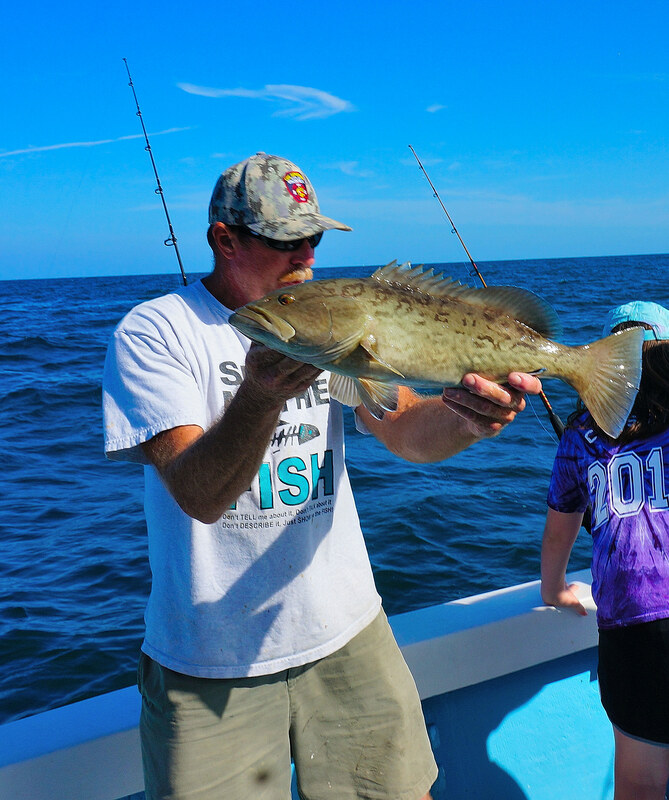 Finding a good and reputable captain can be difficult, but it’s a necessity… do the research, or you could come back empty handed. Pro tip – for an extra $50 or so, the captain (or 1st mate) will clean and filet your fish, which is really nice. 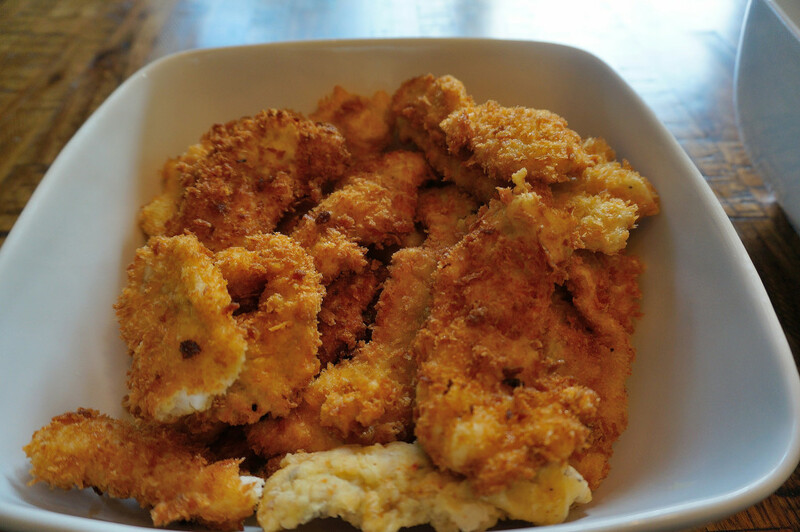 I keep my fry recipe pretty basic: a dredge in flour (spiked with salt pepper and cayenne), egg wash then panko bread crumbs, then fry 1 minute or so in peanut oil…that’s it! Of course you know I’m not going to be that basic, so I left the skin on a few filets and broiled them with a little olive oil, and sprinkled salt , black and aleppo pepper on top (500 degrees top shelf for about 2 minutes). 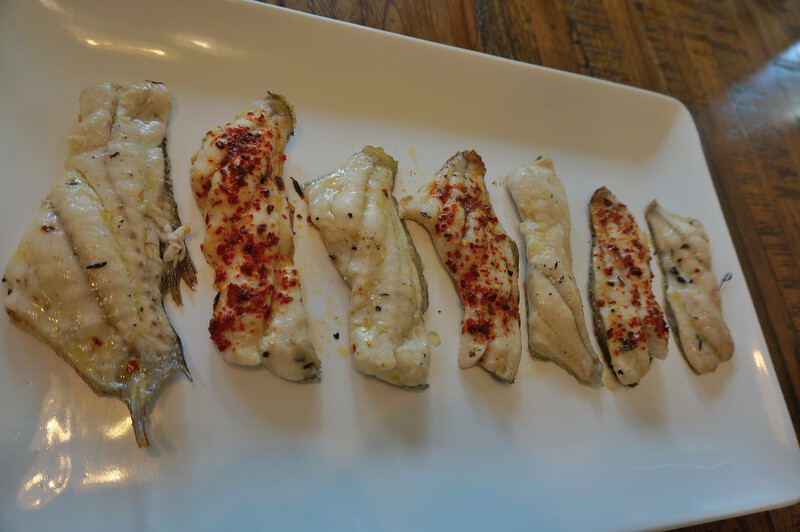 Broiled snapper – these were delicious. 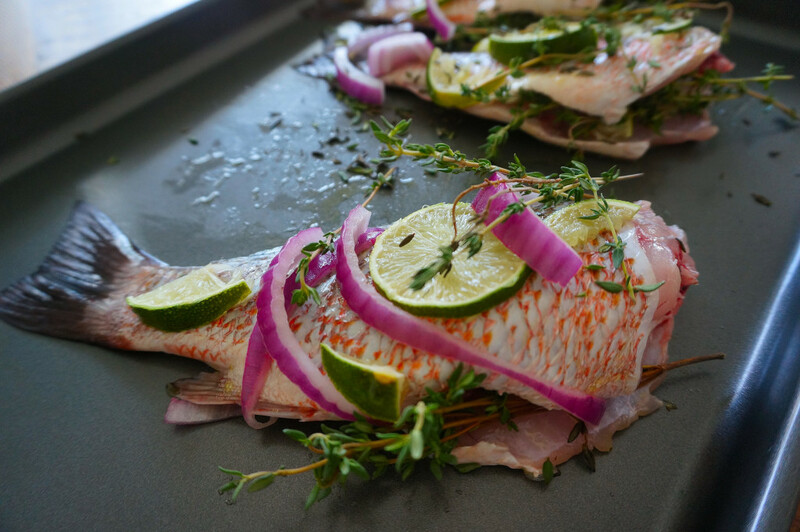 To top off the fish trio, we left a few whole and grilled them with lemon, lime, red onion and thyme; about three minutes on each side. 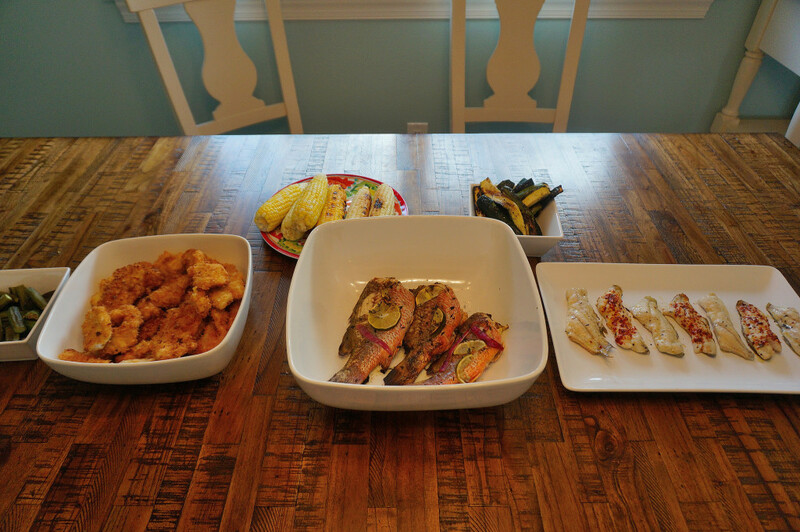 On the vegetable front, we added grilled corn, grilled zucchini and some lightly fried okra.